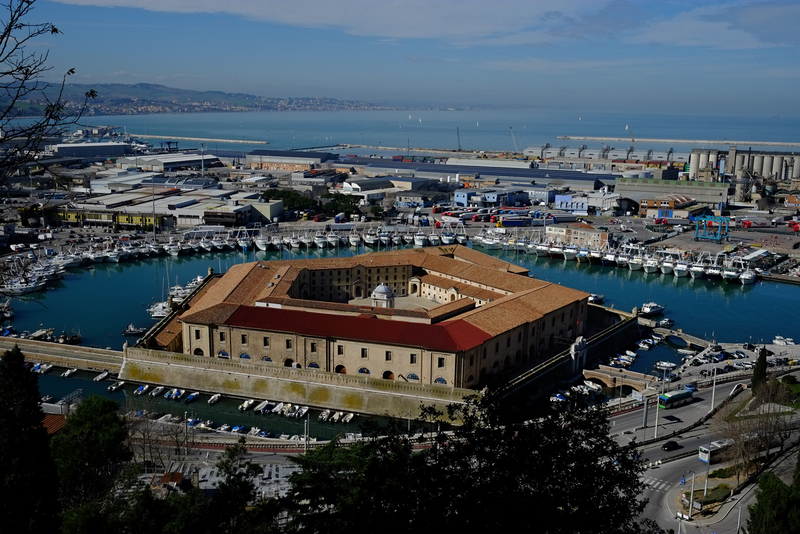 Ancona is a city on the Italian Adriatic coast and the capital of the Marche. It is known for its beaches, such as the Passetto beach, and the Ancona Cathedral located on a hill. In the city center, the Fontana del Calamo is a fountain with bronze masks of mythical figures. Opposite the port are the ancient Arch of Trajan and the Lazzaretto, an 18th-century quarantine center on a pentagonal artificial island.